Middletown Honda and its owners, Adee Motors, LLC., reached a settlement with New York Attorney General Eric Schneiderman on Tuesday after the company allegedly charged a fake processing fee to customers. Middletown Honda will reimburse 174 customers approximately $87,000. Under the settlement, the dealership will also pay $48,000 to the state and reform its business practices. Schneiderman's office alleged that between 2011 and 2014 Middletown Honda charged 174 customers a $500 processing fee at the end of their leasing period, but didn’t deliver any add-on services. The customers were allegedly not told of the additional fee up front when they signed their lease agreements. 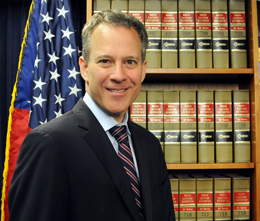 As part of the settlement, the dealership must also reimburse any other customers who file a complaint with Schneiderman's office about the processing fee.